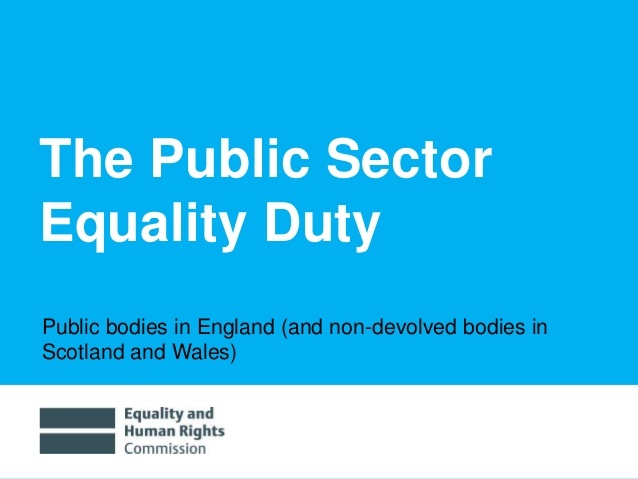 The Public Sector Equality Duty (PSED) requires public bodies to have due regard to the need to eliminate discrimination, advance equality of opportunity and foster good relations between different people when carrying out their activities. The broad purpose of PSED is to integrate consideration of equality and good relations into the day-to-day business of public authorities. The duty to promote requires public authorities to ensure that there is no discrimination within the services they provide, and that opportunities for advancement of equality are taken. Therefore, private sector organisations who deliver services for public authorities or work on the premises of public authorities inherit the PSED requirements bestowed on the public authority in question. The aim of this is to encourage good practice through supply chain requirements and cultivate proactive collaborations between organisations. In our experience, the PSED requirement has been applied in an unequal manner by public authorities. Some are very good and will ask suppliers for anonymised information such as their gender composition, ethnicity composition and number of disabled employees as a percentage of the workforce. Some public bodies however do not do so well and need to do more to adopt best practice and realise the benefits the PSED can bring. Contact us to see how we can help you understand how successful your organisation is in complying with the requirements. You may be a public sector organisation who would like a consultation, or, you may be a private sector organisation who delivers contracts to a public sector client, and are therefore required to comply with your clients’ requirements and requests. This is an area we have been working with with the Government on reviewing, so please do get in touch if you would like some guidance or training on how best to meet your PSED requirements.